Chinese smartphones case manufacturer CoolZonePDA is belived to smiggled an iPhone 6 out of a Foxconn factory. 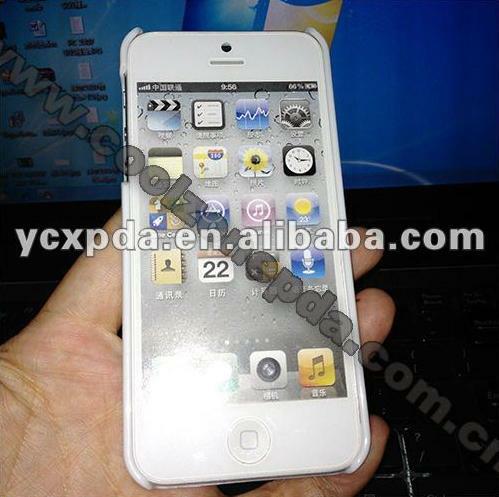 The case manufacturer have shown pictures of what they’re calling the iPhone 5. CoolZonePDA shows the iPhone 5 using one of their new cases for the iPhone 5. Strangely, their iPhone 5 looks very real based on many of the features and changes the new iPhone will allegedly have including 19-pin dock connector and taller screen. Unfortunately, based on CoolZonePDA smuggled iPhone 5, Apple will ship iPhone 5 running iOS 5.